Forty four days since I left my friends at Bad Schandau on the first leg of my solo journey through Eastern Europe and in only nine days’ time I will be meeting up with my friends in Paris. 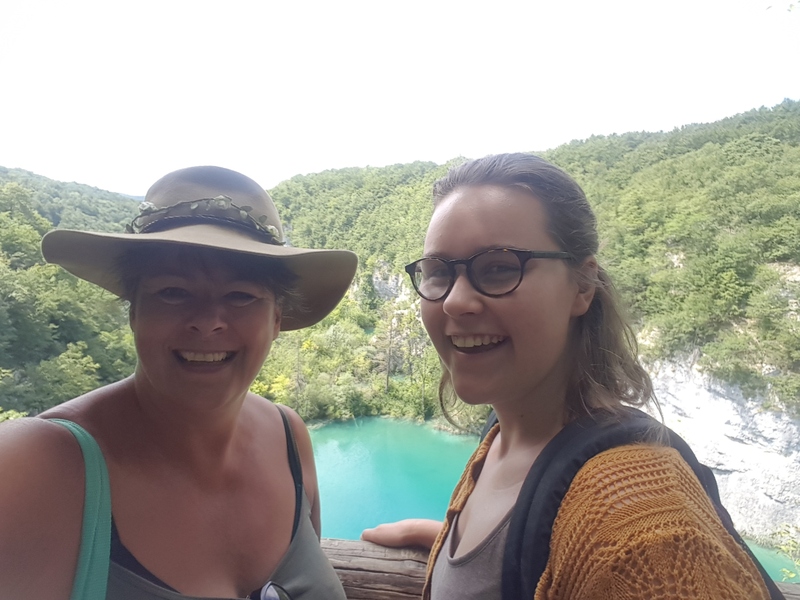 I’ve already started retracing my steps up Croatia’s Dalmatian Coast but I am lagging behind with my blog posts! In my defence, it seems as if almost every time I plan to write, something or someone comes along and throws a spanner in the works!! I am very pleased that they do I hasten to add. Nonetheless, my big plans to catch up on some serious writing are frequently discarded without a second thought by an impromptu change of plans and a keen sense of carpe diem! This of course is the very essence of the traveller’s road and I embrace it happily. However this particular road is not endless and so time restraints and the need to write are always playing on my mind. So much is happening in such a short time that everything is becoming a blur and my brain is becoming a bit of a mushy mess! I have flashbacks to places I have been and things I have done and I often have to stop and think for a few moments to recapture where and when that was. I struggle to remember what day it is and only have a jumbled up memory of what I have done in the preceding days. I meet people along the road who have planned their trip ahead, done all their research in advance and booked their travel and accommodation accordingly. They are organised and know what they want to see and do. I on the other hand can spend entire mornings trying to figure out what my next destination will be, how I will get there and where I will sleep that night. Sometimes I can’t even make up my mind about what I want to see and do first when exploring a new place. Occasionally I look at these organised people with envy as they happily head out from the hostel each morning knowing exactly how they are going to fill their day. I concede that the relentless researching, planning and booking on the go can be tedious and mentally exhausting, contributing in no small way to my messy mind, but enviable and admirable as these organised people’s preparation are, I still don’t think that kind of travelling is for me. Granted I do waste time, but I like the free spirit feeling of not knowing what is going to happen next and very often my decisions will be based on information I have gleaned from people I meet along the way. Sometimes a recommendation or piece of advice and often a sudden change of plan as the opportunity for a brief time of companionship dictates what I do. 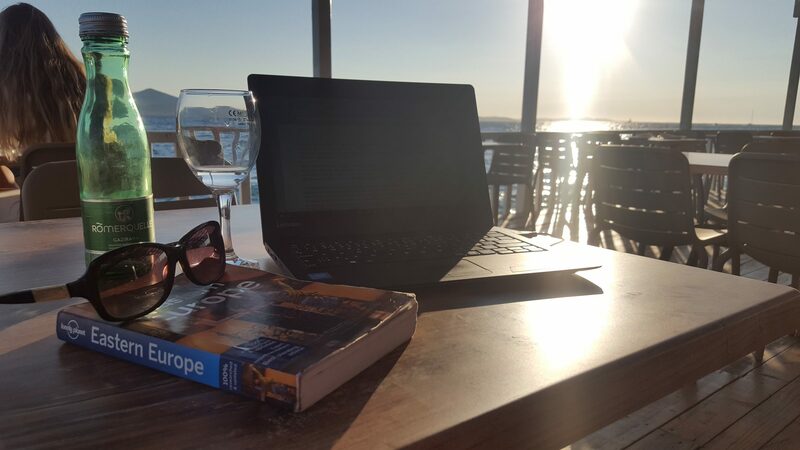 It also has to be said that research and travel planning is made easy by access to the internet and Google. Accommodation and travel is booked online and Google GPS and Maps ensure I know exactly how to get to places. I talk often with young people about the old days of backpacking when none of this was available and English wasn’t such a dominant language. They are bewildered by the thought of this and want to know how it was possible to travel under such conditions. I am almost at a loss as to how to explain but I just know that we did. I guess it took total reliance on our Lonely Planet book and the generous assistance of individual people along the way. 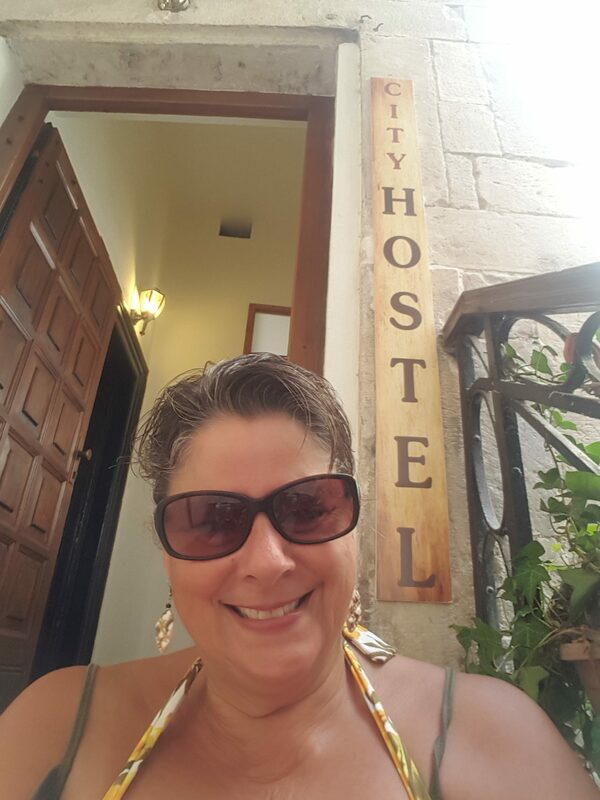 Enjoying A Morning Cuppa On The Steps of City Hostel – Trogir, Croatia – Before Hitting The Beach For The Day! On this current journey, hostels no longer intimidate me and I quickly and confidently claim my space as I settle in to each new home, smugly telling myself this means I am now a seasoned traveller. But in reality I suspect I have become a grouchy traveller. My tolerance levels have diminished somewhat and I am developing a list of pet hates. These can be targeted either at the hostel or its occupants as is my will and can be anything from lack of power points to lack of toilet flushing! It is the height of summer now and Festivals are in abundance along the Croatian Coast. This brings a different kind of traveller to the hostels, which changes the dynamics considerably. Groups of three or more people travelling together often think they own the dormitory and you are a mere nuisance in “their room.” In particular giggly girl groups are a seaside phenomenon. These are the sunbather/Festival/party goers who after a day on the beach parade around the dorm in skimpy bikinis, walking past a mirror, if there is one, as often as possible. They take hours in the bathroom, leave big globs of hair on the shower walls and forget to flush the loo! If there is a mirror (which admittedly isn’t often) they covet it, straightening their hair, applying false eye lashes and troweling make up on as they hum tunelessly, ears plugged in to their iPhone. They dress up in sparkly dresses and go out when everyone else is settling in to bed for the night, and in the early hours of the morning they come crashing into the dorm very much the worse for wear, “shushing” loudly as they giggle, or cry, their way into bed! However if I were to define the noise of a hostel it would definitely be by the noise of zipping and rustling. As we all live out of backpacks or luggage bags, usually with things wrapped up in plastic vacuum bags inside them we spend an inordinate amount of time taking things out, putting things back, rearranging, unpacking, packing, rustling through layers of plastic bags as we go. This leads me on to another of my pet hates which is excessive or inappropriate rustling or zipper use. We all have to do it I appreciate, but if you know you have to pack up or get something out of your pack don’t leave it until after eleven at night or at six in the morning!! Pack or unpack at a reasonable time!! I am just drifting off to sleep and suddenly there it is – the sound of the zip! “zzzzzzzzzzziiiiiiipppppppppp!”, usually followed by plastic bag rustling, “rustlerustlerustlerustle”. Another bout of zipping. “zzzzzzzzzziiiiiiiipppppppppppp”, “zzzzzzzzzziiiiiiiiippppppppppp”, followed usually by a trip to the bathroom, some light switching on and off and some final zipping and rustling before the offender finally climbs into bed or vacates the dorm, whichever the case may be! However, in saying that, zipping and rustling can be an effective weapon to use as punishment against the middle of the night party goers or anyone else who has disturbed your sleep or generally annoyed you! In which case it is open season on zipping and rustling and is even better if several of you have been disturbed and are departing early in the morning at the same time! In this case zipping and rustling is done as loudly as possible in “Surround Sound” from different corners of the room, only ceasing in final satisfaction when the offenders are seen tossing and turning in their beds in obvious irritation at the disturbing early morning noises! These days’ linen and towels are supplied pretty much as a normal standard, but postage stamp sized towels, which are so often handed out as an excuse for a towel irritate me beyond belief, as does poor ratio of toilets and showers to people. 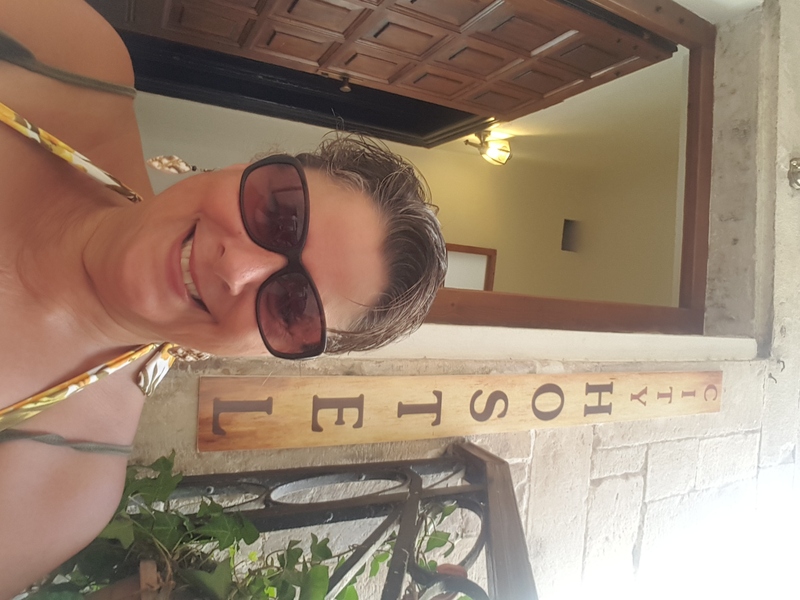 One hostel had sixteen sleeping spaces and one bathroom for each gender! There wasn’t even a separate toilet, which could make things quite tricky first thing in the morning! 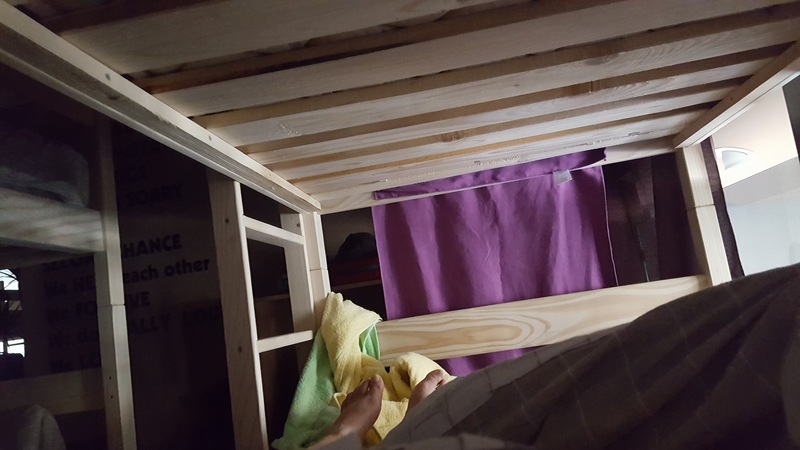 I always request lower bunks for fear of falling out of the top ones, but lower bunks with lack of head room drive me crazy! I have lost count of the amount of times I have bumped my head trying to get in and out of bed! The same hostel with the minimal bathrooms also had minimal head space and as I lay on my bottom bunk and looked up at the underside of the bed only a foot above me, I realised for the first time what the saying “packed in like sardines!” really means! Life In A Sardine Can! 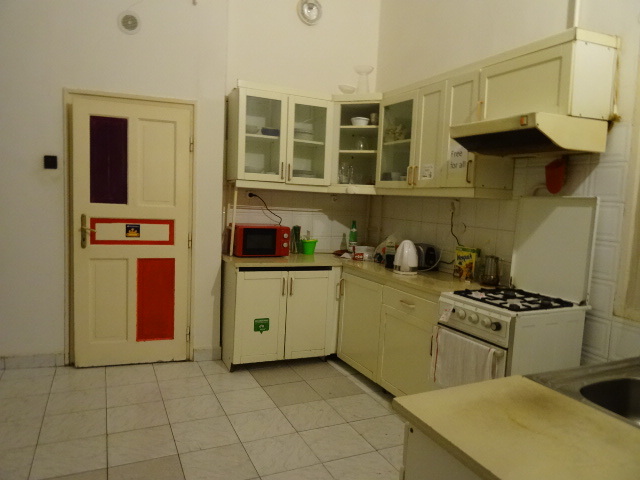 A couple of hostels have not had a kitchen or proper common area (Yep, including Sardine Can Hostel!) and although I don’t cook often I do like to prepare a simple breakfast, pasta or cold cut dinner and now expect to have the facilities to do this and to make a cup of tea of course! Nonetheless while it sounds like I’m complaining profusely I still really enjoy hostel life and it still suits me. I enjoy the interaction with other people and by now have met some really lovely short term companions. However, it seems that there is such a thing as travel burnout and I did hit some kind of travel weary wall a few days ago. No longer able to cope with sharing and after much soul searching in regard to the cost, I finally conceded defeat and booked myself into a small apartment for a couple of days. Basking in the luxury of having my own space and privacy I spent the time dancing around the apartment naked, sleeping in without disturbance and going to the beach. I cooked good healthy food, watched TV (American reruns! ), caught up with washing and spent my evenings writing. By the end of my little break I was fully recharged and ready to face life on the road again! Life is simple as is my attire. Now that the summer temperatures are soaring I live in a handful of t-shirts and a couple of pairs of shorts. I have long since given up thinking too much about my appearance but nonetheless I was both shocked and amused, when I did finally confront myself in a full length mirror after several weeks of travelling. Tanned and healthy as my appearance might be it had also become somewhat feral as I had obviously neglected a number of basic personal maintenance routines! 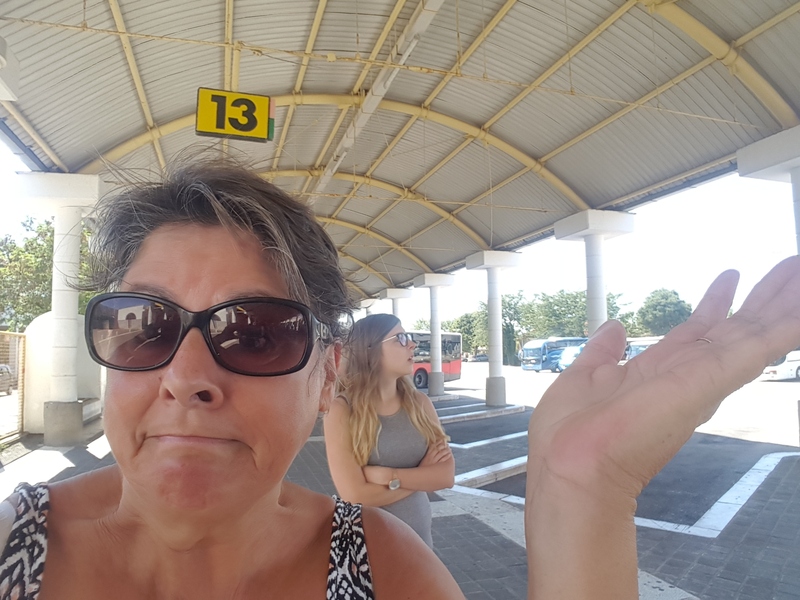 Waiting For A Bus In Croatia – It Might Be On Time…It Might Be An Hour Late………It Might Not Even Come! I am no longer afraid of public transport and have come to expect varying levels of reliability, most often erring towards the unreliable, but uncertain situations which once would have caused me great anxiety, I now take in my stride, knowing I’ll get somewhere somehow, sometime! So Dear Diary, life on the road can still have its ups and downs, but I believe I am beginning to be at one with it as I mould into its rhythm. As I live simply so I shed physical and emotional baggage. I embrace the present and the profound moments that it brings my way. I listen out carefully for the path ahead and in doing so I etch out my own unique groove, secure in the belief that I am heading in the right direction, whatever that might be. ← Cold Shoulders In The High Tatras Mountains!